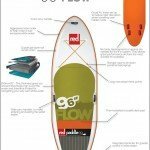 In this article we will provide a quick review of the 2015 Red Paddle Co 9’6″ Flow inflatable SUP. 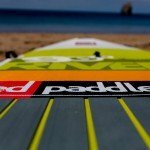 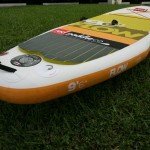 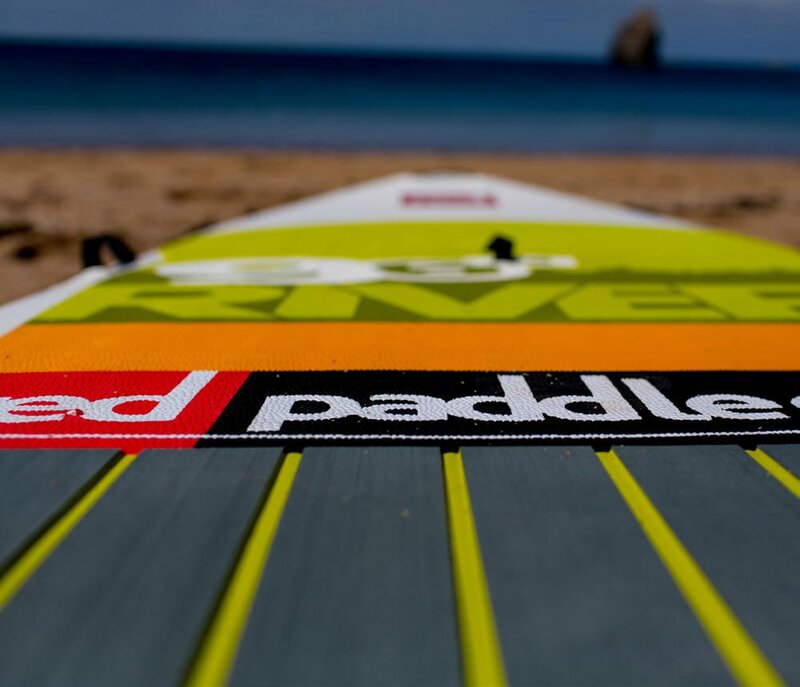 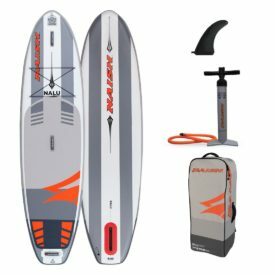 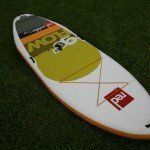 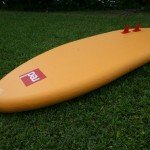 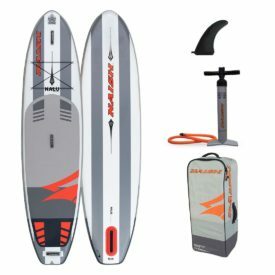 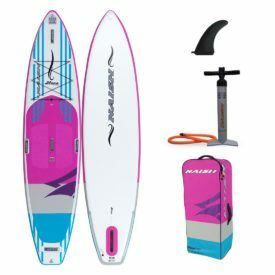 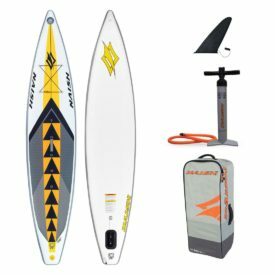 This is a new model in the 2015 Red Paddle Co range designed for white water paddling, a booming section of the SUP market. 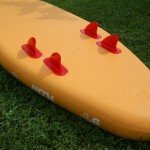 Inflatables just make sense in this arena. 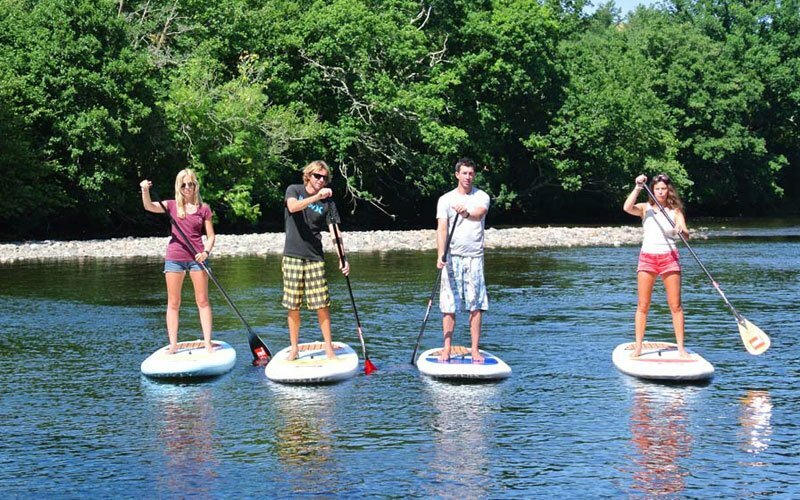 Bouncing off rocks and logs, easy to carry in and out of wild rivers. 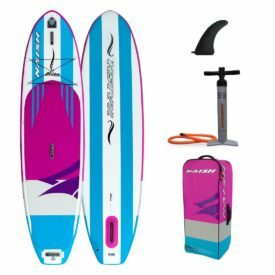 Incredibly stable yet awesomely maneuverable, the Flow is also fitted with multiple grab handles for safety and control, and a quad iFin arrangement. 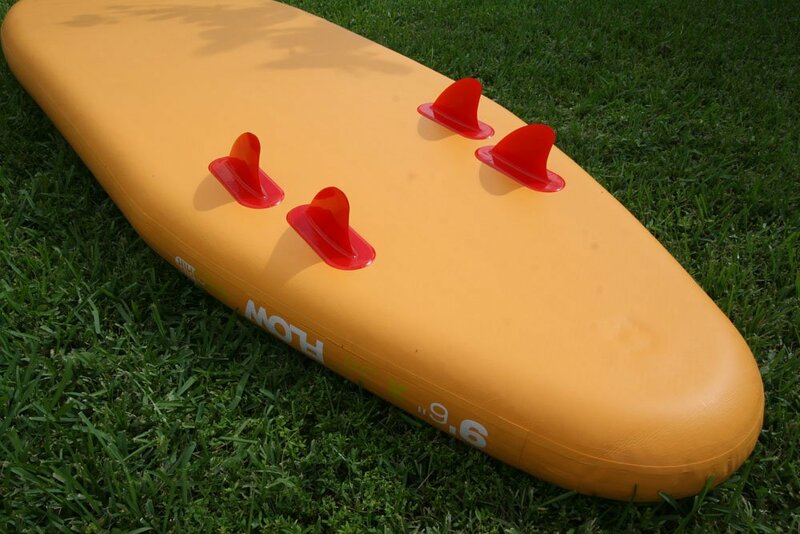 The pump: The 2015 9’6″ Flow ships with the Red Paddle Co Ezee HP pump which makes inflation to 25PSI very easy. 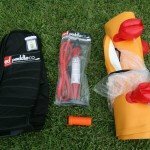 Included with the pump is a pressure gauge and hose. 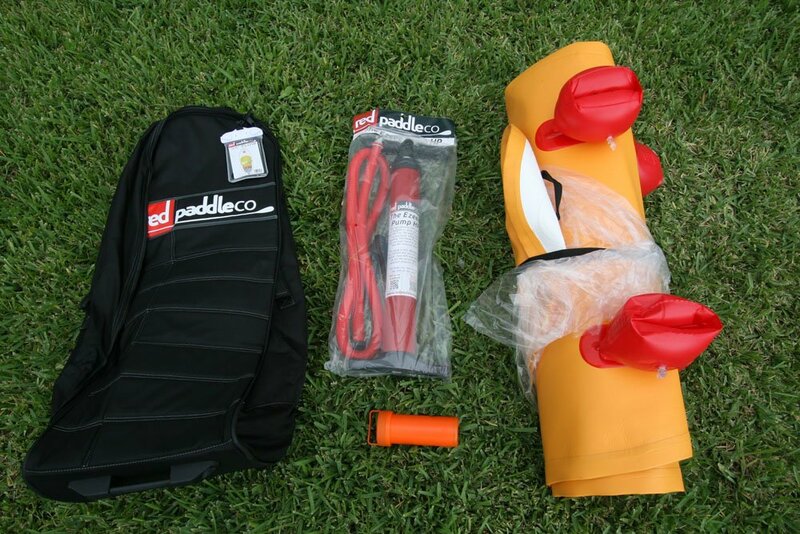 You also get a standard repair kit in the package and a bonus cell phone case which includes the inflation/deflation and care manual. 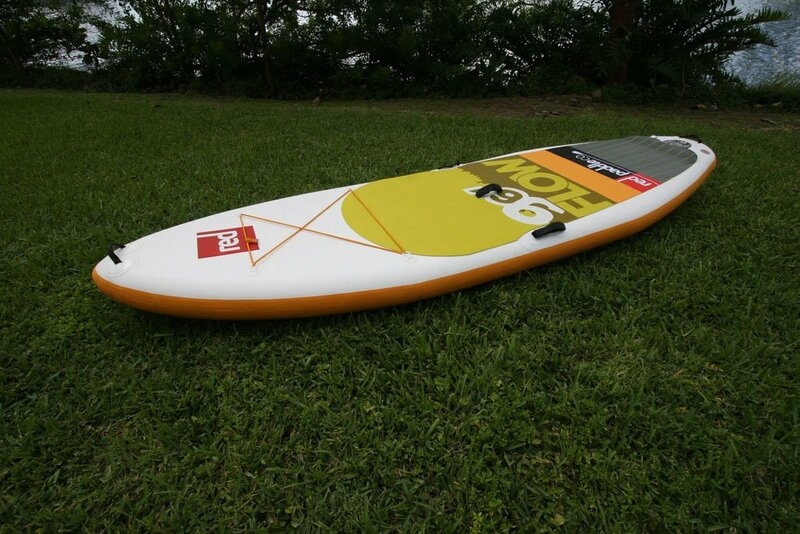 The board: 9’6″ long, 34″ wide and 5.9″ thick. 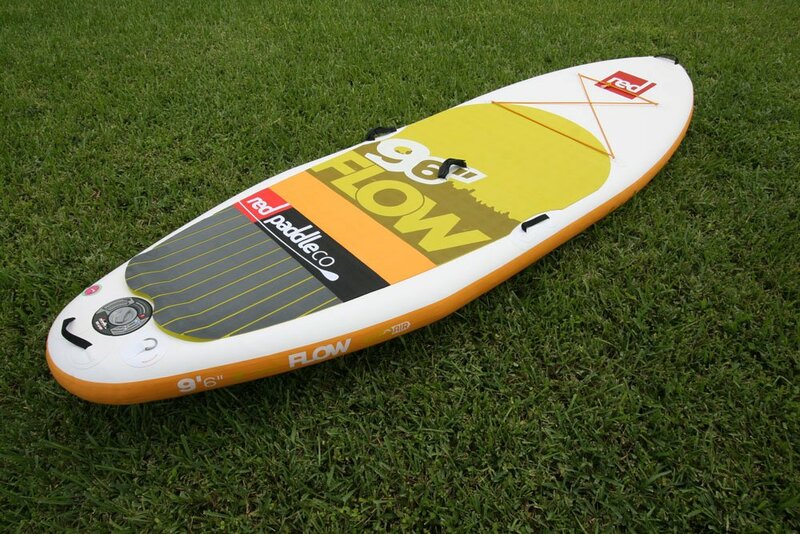 The Flow is a 100% new design for 2015. 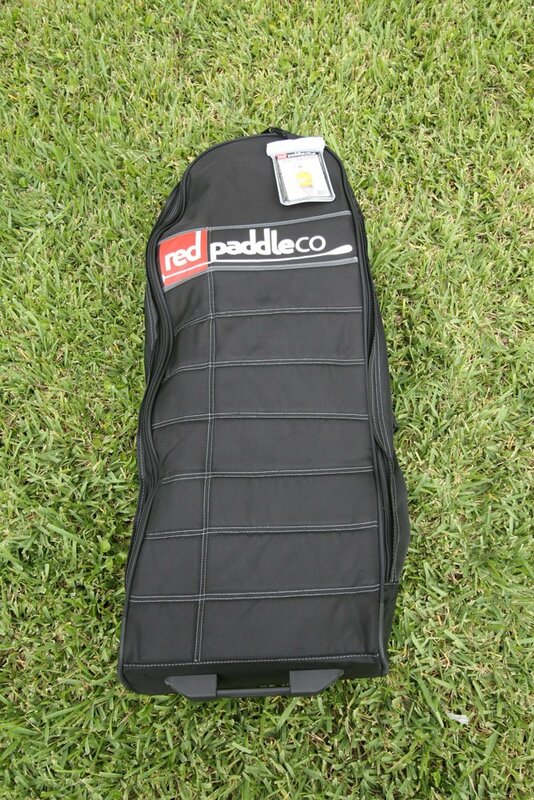 Built using Red Paddle Co’s Tec Air construction process, it features high density drop stitch technology, double layering “board within a board” technique and quadruple layered rails. 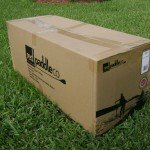 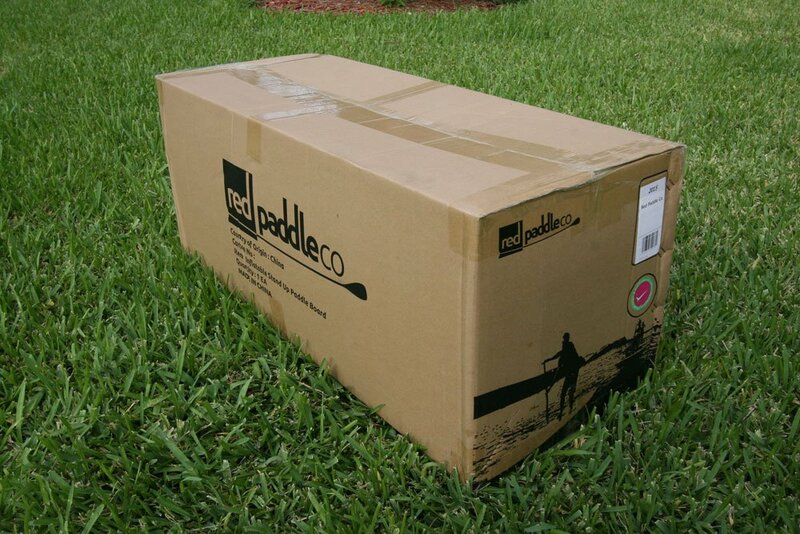 The weakest part of an inflatable paddle board is the rail (sides) where the top and bottom layers are joined, due to the lack of internal support from the high density drop stitch. 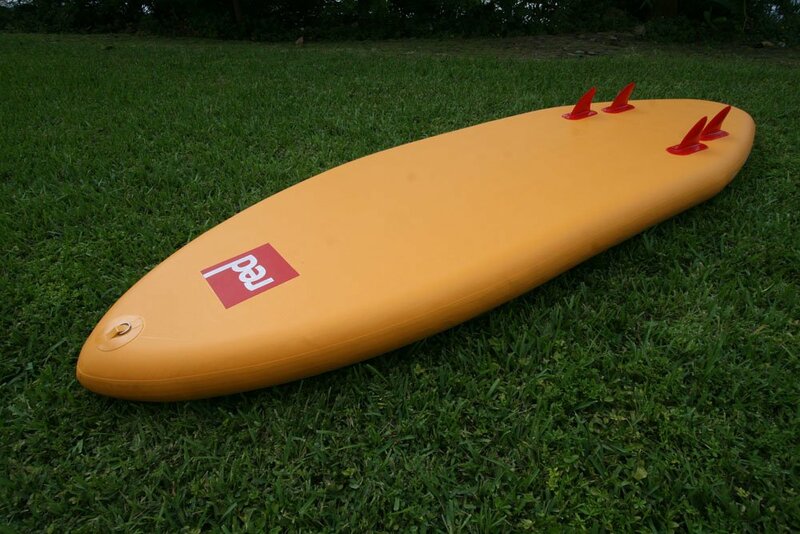 Most inflatable stand up boards are constructed with just one rail layer on the rails, whereas Red Paddle Co use 4. 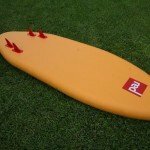 Find out more about Red Paddle Co’s Tec Air construction. 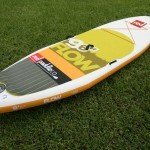 Let’s take a look at the 2015 9’6″ Flow, move the slider to see both sides. 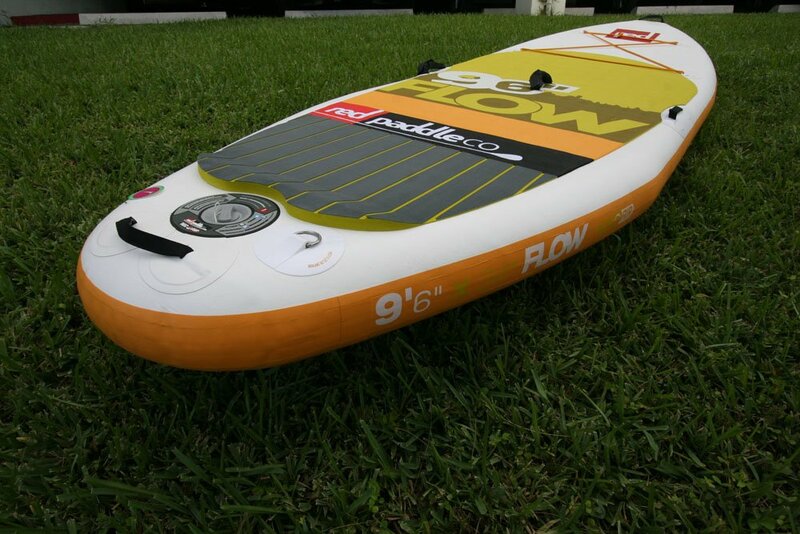 On the water: The 2015 9’6″ Flow is an amazing white water board. 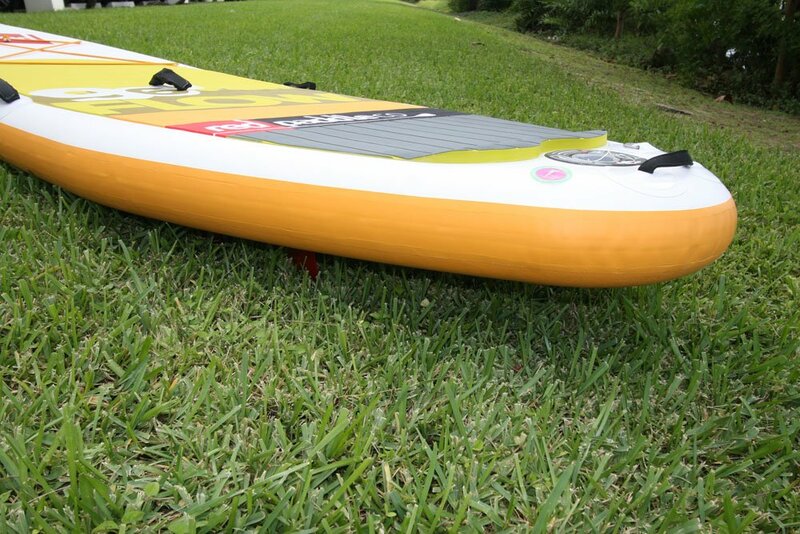 Incredibly stable yet awesomely maneuverable, the Flow offers extreme durability, with amazing performance. 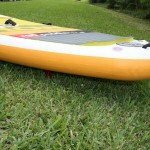 At 150mm or 5.9 inches thick, the high sides allow it to break in and out of the river flow while its pronounced rocker means it rides over the bumps exceptionally well. 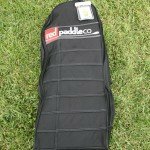 Under the front bungee cord, you could strap down a packed lunch, dry bag, camping gear and enjoy paddling down wild rivers and rapids. 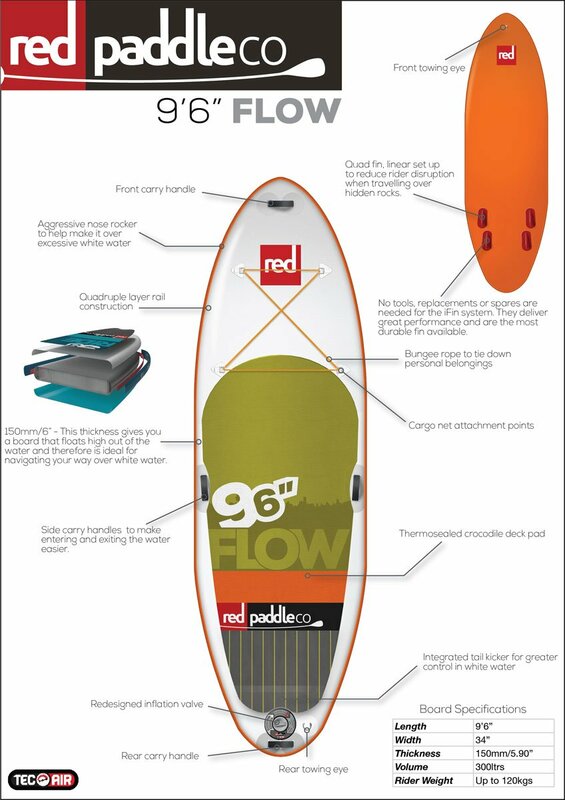 Now for some detailed images of the 2015 9’6″ Red Air Flow, click to enlarge. 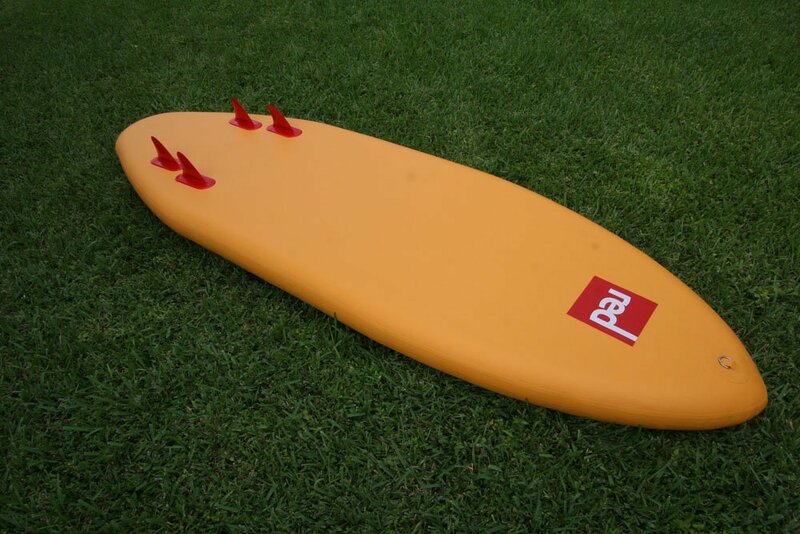 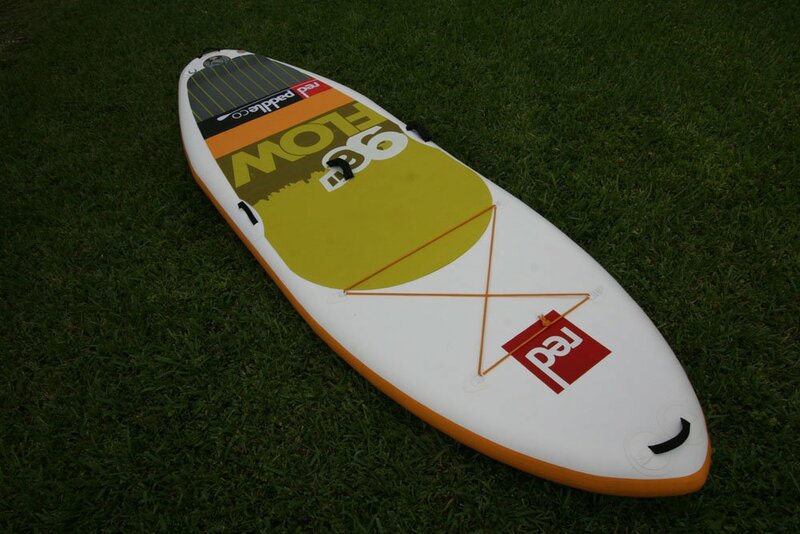 See the 9’6″ Flow Red Paddle Co product page for more details, specs and images. 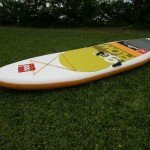 Posted on December 7, 2014 by Julian Kidd.